The most legendary game never released for the most obscure game platform of all time. 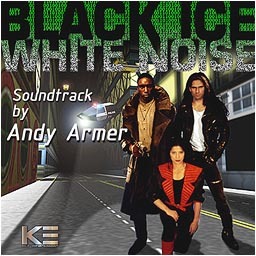 Black ICE\White Noise was supposed to be the most advanced cyberpunk adventure game of its time, on the most cutting edge game machine on the market. Only it didn't work out that way. 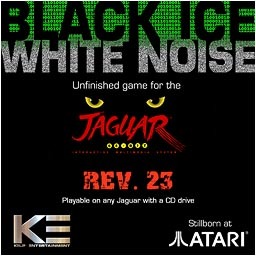 Atari's Jaguar game platform was a financial disaster, and the company went out of business before the game was finished. 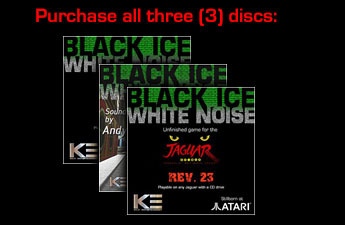 For years rumors have circulated about the sheer innovation and originality of Black ICE. Some have called it a harbinger of games to come, and compared it to later games such as Grand Theft Auto. Now you can see what the buzz was about for yourself. This is one of the last playable -- but clearly unfinished -- builds of the game. Explore the city streets, prowl around in empty buildings, and look for the few people that lurk in far scattered rooms. Keep in mind that this is an unfinished game. What you'll see here is a rare glimpse into the game development process, with all its unpolished art and preliminary code. You'll explore a large but sparesely populated city, and much of the game's functionality was never hooked up. That's not to say that there is nothing to do! There are other people hidden in various parts of the city, and when you find them, you can either converse with them peacefully -- or attack them! Buy a drink at the infamous Shatter G bar, or use your C-Space deck to explore the net. The most stable build of the game. This is the first and only legal release of this much talked about game, directly from the game's creators -- not used copy or a buggy bootleg. 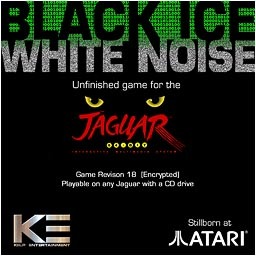 Playable on any Jaguar CD, with no need for a rare Alpine card or expensive bypass cart! You want this because the audio was never hooked up in-game! Composed and performed by Grammy nominee Andy Armer, these eleven original tracks will immerse you in the atmosphere of Black ICE's dystopian world. Put this in the stereo while you explore the game! 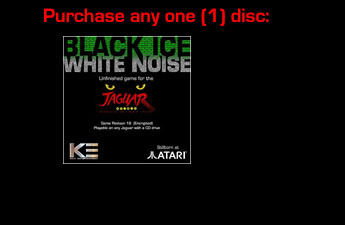 Please be sure to specify which disc you are ordering in the notes. Please be sure to specify what two discs you are ordering in the notes.